In unveiling the Trump administration’s new Africa strategy last month, national security adviser John Bolton cast Chinese financial and military activity in Djibouti as a threat to U.S. interests in the Horn of Africa. He cited concerns about Djibouti's mounting debt burden to China and China's potential to take over a strategically located port, along with its establishment of a military base near U.S. base Camp Lemonnier. 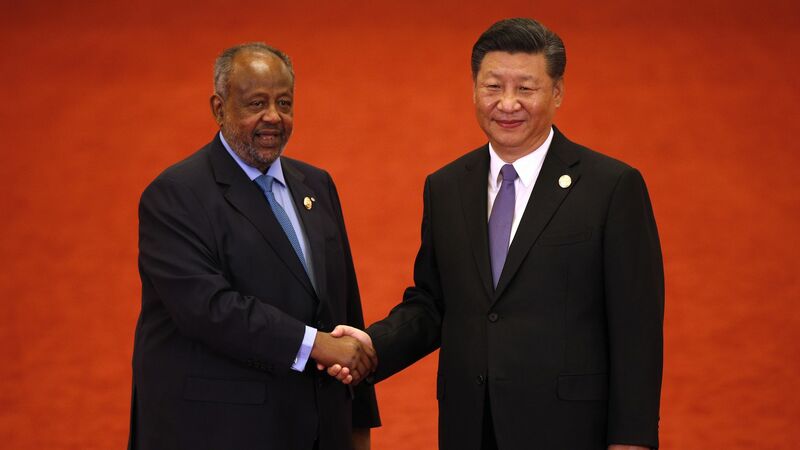 The big picture: Djibouti has enjoyed a four-decade relationship with China, and in the past few years, this relationship has become more instrumental in Djibouti's development. China holds 77% of Djibouti’s debt, largely because of Vision Djibouti 2035, the country's agenda to become a logistics and commercial hub for continental trade and spur medium-term growth of 10% per year. The Djibouti portion of the Ethiopia–Djibouti Railway ($492 million in 2013), a 446-mile line connecting Addis Ababa to Djibouti. The Ethiopia-Djiobuti Water Pipeline ($322 million in 2013), a 63-mile pipeline from Hadagalla to Djibouti to supply safe drinking water to locals. The Doraleh Multipurpose Port ($294 million in 2016), which connects to the Ethiopia–Djibouti Railway to handle shipments of containers. The Djibouti International Free Trade Zone ($150 million in 2015), financed by China Merchants Holdings. Taken together, this flurry of infrastructure projects resembles China’s development of its own cities such as Shanghai and Shenzhen, home to industrial zones, ports and rail-based transit systems that spurred maritime trade. The bottom line: If these projects increase productivity and economic opportunity, that may assuage some concerns about the debt burden; if not, Djibouti’s “economic goodwill” toward China may end sooner than expected, an outcome that would validate U.S. fears about regional stability. Janet Eom is a research associate at the China-Africa Research Initiative at the Johns Hopkins University School of Advanced International Studies.